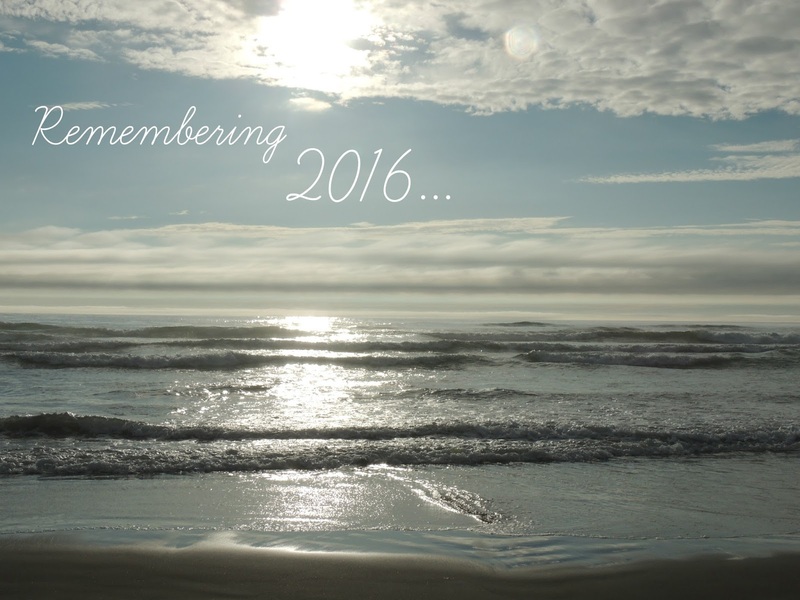 Now that my blog has been established for over a year, I felt inspired to commemorate some of my favorite posts and life milestones in 2016! I finally quenched my desire to paint when I signed up for a one-hour lesson at an art studio with friends from my church. I shared my experience on my blog to serve as a reminder that it's never too late to begin another hobby! I still use this recipe whenever I'm craving some chocolate ice cream. It's the best ice cream I've ever been able to whip up with my Vitamix, and I hope that every chocolate-lover will love it as much as I do! My sister took most of the pictures for this blogpost by a creek in our neighborhood. I thought my light green dress was the perfect color for spring, and I liked the vintage look of it. I'm grateful that I didn't slip off the log I was sitting on since that would have been a soppy ending to our photoshoot! I've ventured many times into my backyard to take pictures of the different scenery and capture the changes that the weather and seasons will bring. In this post, I captured the rainfall around our house. It was fascinating, being able to take high-quality pictures of rain droplets on flowers. On May 2nd, I turned 18 which I suppose is a great milestone in transitioning into the adult world - being able to drive with more than one passenger, get more job opportunities, make more decisions by myself and such. Though the age came faster than I expected, I am ready to continue growing and take on new challenges as a young adult! It wasn't until the last month for senior prom admissions that I decided to be bold and give a "promposal" to a boy from my high school chorus. (He said yes!) I'm so happy I took charge of all the excuses that were holding me back from enjoying senior prom and all the rushed excitement that went with it. Graduating from high school (makes me so happy just to type that!) was another big milestone in my life, and I'm grateful that I got to share the final moments with my extended family. The next following days, it was fun getting to go on some adventures to Monmouth Beach and High Point State Park with my little cousins that I don't get to see often. 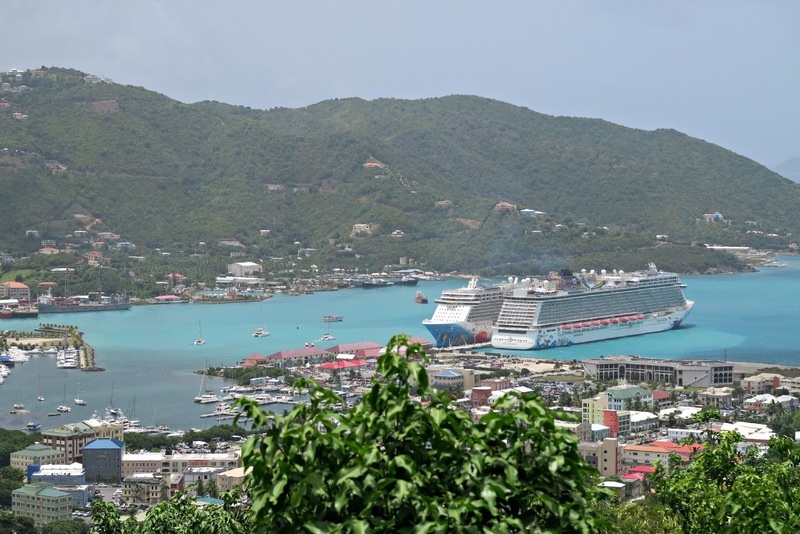 It was wonderful getting to take a cruise around some Caribbean islands. A very relaxing summer vacation with lots to see! The last weeks of summer were spent exploring Colorado, including the Rocky Mountains, Great Sand Dunes and Denver Botanic Gardens. A beautiful state to spend a week exploring. Our childhood friend was able to tag along with my family as we went pumpkin-picking at Alstede Farms. Riding the hay wagon to the patch as the sun was setting, and returning with our pumpkins as the stars were overcoming the sky was a new, calming experience. We were more than happy to flock near the farm's bonfire for warmth and enjoy hot apple cider as the night set in. To celebrate Halloween, my family visited Sleepy Hollow, NY where the Great Jack O'Lantern Blaze was being held. We were blown away by the thousands of jack o'lanterns all around us! This year, I stepped up my fall-decorating skills using all of the new decor that I bought during a fun shopping spree with friends in Chester, NJ. I couldn't wait to take some pictures of my decorated desk space and share it on the blog once it was all finished! Our Thanksgiving meal was a memorable one spent at Hershey Farm in Lancaster, PA. With a big buffet to choose from and farm animals to visit outside once we were finished eating, it was quite a laid-back and enjoyable holiday. I went into detail about our visit to the Tomato Pie Cafe in Lititz. It's a well-known cafe known for its coziness, old-fashioned interiors and hearty meals. I enjoyed getting to delve into baked acorn squash for lunch, (needless to say, I was very full afterwards!). I certainly wrote a boatload of Christmassy blogposts this year, and stayed very busy during the month of December! One of the things I was inspired to blog about was my love for chocolate since it's a generally known fact that we all eat more chocolate during the Christmas season! Since I mostly eat vegan, I thought it would be helpful to recommend my three favorite vegan chocolate brands. It was fun getting to take closeups of the chocolate in front of our Christmas tree! I definitely have a lot to be thankful for over 2016. I'm excited to see what adventures 2017 will bring, and I will be sure to continue sharing them on the blog!